Dance is for dancing. Practice is just as important as theory and scholarship. Learning to re-create and perform early dances is something that the members of the Early Dance Circle cherish, along with those listed below. You can dance with many groups across the UK that are listed on our Classes and Teachers page, searchable by location. Nonsuch: Early Dance. Dances from the Courts of Europe 12th-19th Century is a comprehensive series of instructional booklets (I-VIII) and practice tapes (1-9) issued by Nonsuch History and Dance. The Dance Research Committee of the Imperial Society of Teachers of Dancing (ISTD) is issuing a series of instruction-books using Labanotation; some include a short introduction to the notation. Contact ISTD. Both dancers and musicians will find valuable resources in the listings here of booklets and music. It is not exhaustive, but will point newcomers to early dance to many riches. Cait and Chris Elmes have published a series of booklets and CDs detailing dance steps, choreographies and melodies from the 15th century, Trobyll me the bordon, Whatsoever ye wyll, Eschewynge of Idlenesse (Edinburgh, Gaita Medieval Music; available at www.gaita.co.uk). D. Cruickshank, Selva amorosa (instruction-book and CD, Salisbury, 1991). Dolmetsch Historical Dance Society, Dances for Tudors & Stuarts. National Curriculum Key Stage 2 (teaching pack with booklet and CD, Salisbury, 1994; available from DHDS Publications). B. Thomas & J. Gingell, The Renaissance Dance Book (instructions, music and cassette, London, 1987). D. Wortelboer, Flowers of 16th-Century Dance (instruction-book and CD, Amsterdam, 1996). G. Lambranzi, New and Curious School of Theatrical Dancing. Facsimile, trans. D. De Moroda, ed. C. W. Beaumont (Nuremberg, 1716; Mineoloa, NY: Dover, 2002. Consort de Danse Baroque has issued cassettes entitled Dances from England and France and Dance Music for Baroque Guitar. Choreologica, the Journal for the European Association of Dance History, UK, 1998 to date. Dance Research, the Journal for the Society for Dance Research, Edinburgh University Press, 1983 to date. Historical Dance, the Journal of the Dolmetsch Historical Dance Society, ed. David Parsons, 1980 to date. Proceedings of the Early Dance Circle Biennial Conferences, ed. Barbara Segal & Bill Tuck, 1997 to date. Studies in Dance History, University of Wisconsin Press (periodicals and, currently, a series of monographs), 1989 to date. There are many courses (half-day, whole day or weekend) and regular classes (weekly or monthly) on Early Dance, both in the U.K. and abroad. Details of these are listed in the Diary of Early Dance Events produced thrice yearly by the Early Dance Circle and obtainable from EDC Publications. General details are listed in Classes and Teachers and Groups. 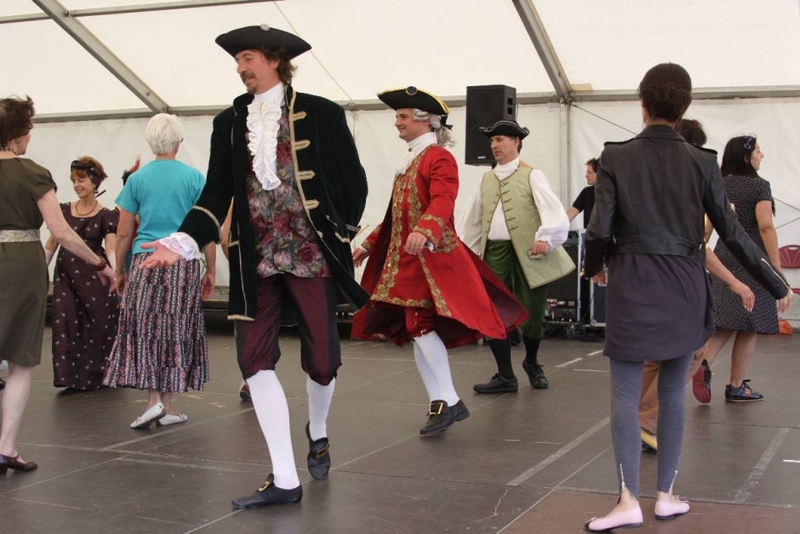 Nonsuch History and Dance: Nonsuch History and Dance.